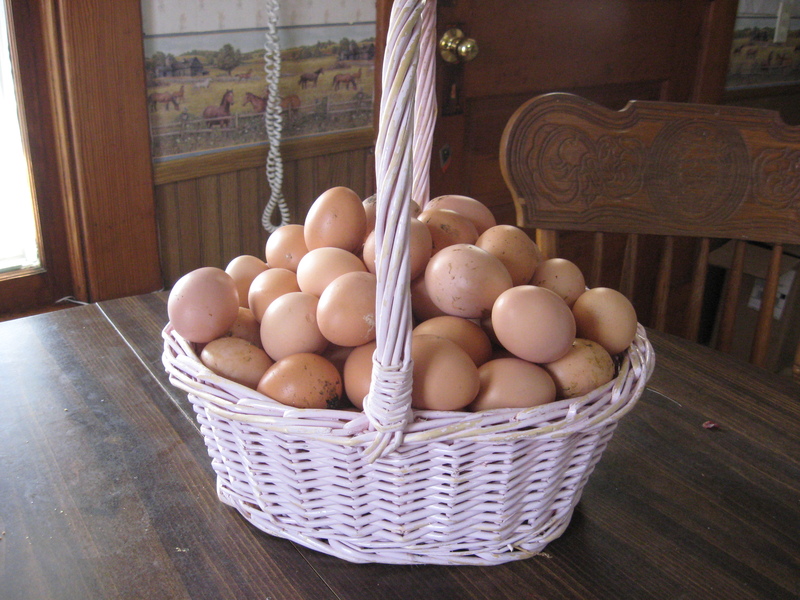 Rachel just returned from the hen house with a basketful of beauties. Our gals are quite prolific, huh? Actually, this is two days worth. I’d estimate about 75 eggs are in there! It’s comforting to know that if times were to get hard, we may get sick of eggs, but we wouldn’t starve! Right now we sell several dozen per week and eat A LOT of eggs. In the future we hope to expand our operation a bit. Needless to say, I’m learning many different ways to prepare eggs! Thankfully, the children don’t complain. I believe they think it’s very normal to eat eggs so often– kind of like eating bread with every meal! Actually, I just counted 92 eggs in that basket! Pretty good from 47 hens, eh? God is so good! One of our most common meals is eggs, refried beans, salsa, and hot tortillas. Another meal we do that we learned from the people here is to chop up hot dogs, fry them, and cook them in scrambled eggs…eat with beans, tortillas and salsa of course. 🙂 It sounded weird, but we all like it. Eggs with potatoes is common and cheap too. We always hard boil some to have on hand for quick snacks. Hmmm…lets see, my children love to make egg toasters. 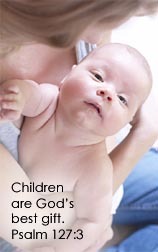 Have you ever read Sarah Maxwell’s (Titus2.com)Moody books to your children. We learned about eggs toasters there. The children take a slice of bread, cut a shape out of the middle with one of my cookie cutters, and put it into a lightly greased pan and crack an egg into the center where the shape was cut out. Cook on both sides and wahlah…:) They toast and butter the cut out shapes too and eat them on the side. I can’t wait until Daniel has time to finish the chicken coup! We had chickens we’d just started raising right before Daniel got sick…and in the midst of him being sick, in the hospital, ect… they all died. So he said the next time we get chickens, we are going to do it right! Well, this was a long comment…oh, I love your wheat grinder….where did you find it? Can you believe that so far I have not been able to find anyone that will sell us wheat here? My hubby grew up hand grinding wheat…he hated it…but my children think it is the greatest thing and with all these little hands full of energy, I think it would be a wonderful use of their time/strength! Okay…time to get the clothes off the line before dark. 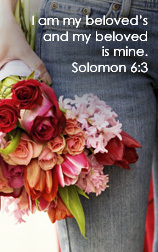 Have a blessed rest of the week in Jesus. Wow, we get excited when we get 5 in one day! But we only have 8 hens…I guess it’s all relative! We have two hens and one of them has given us an egg every single day since aulgust. But n°2 has a big problem… she gives us marble size eggs once in the blue moon.. oOne day we had a meedium size egg but with out yolk! andthe next day she produced a pea!!!! Poor thing and poor us feeding her good grain… we will never be able to eat her!! I’d say that is an Eggcellent basketful.